External Surface is made from zylon which heat resistance can up to 650°C, has 5.8 GPa of tensile strength, which is 1.6 times that of Kevlar. Internal Layer is made from Kevlar which maintains its strength and resilience down to cryogenic temperatures (−196 °C) and heat resistance can up to 550°C; in fact, it is slightly stronger at low temperatures. At higher temperatures the tensile strength is immediately reduced by about 10–20%, and after some hours the strength progressively reduces further. 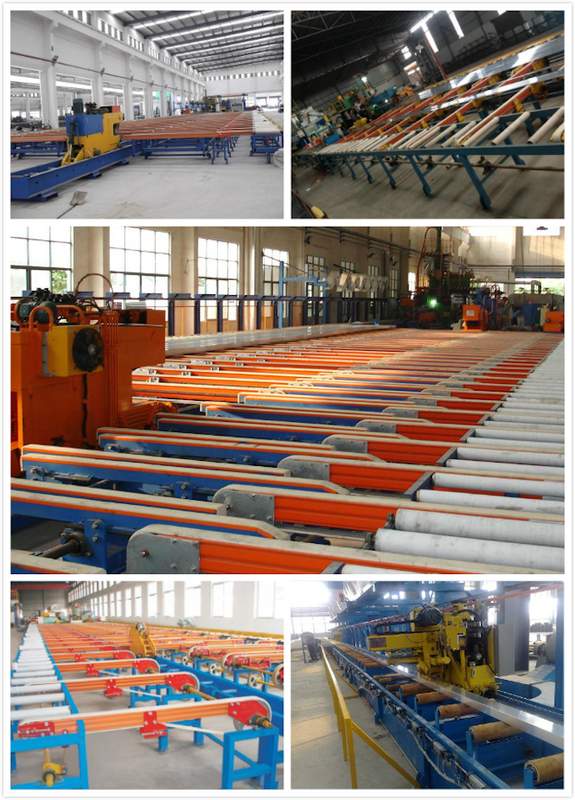 Our product commonly used for the initial table and the forepart of run-out table of the aluminium extrusion lines. It will not bring scratches and black marks to aluminium like graphite. 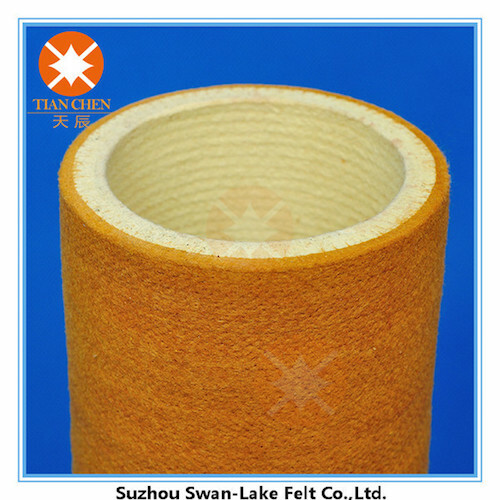 Looking for ideal Zylon Felt Roller Manufacturer & supplier ? We have a wide selection at great prices to help you get creative. All the Kevlar Felt Roller Sleeve are quality guaranteed. We are China Origin Factory of Aluminium Extrusion Felt. If you have any question, please feel free to contact us.